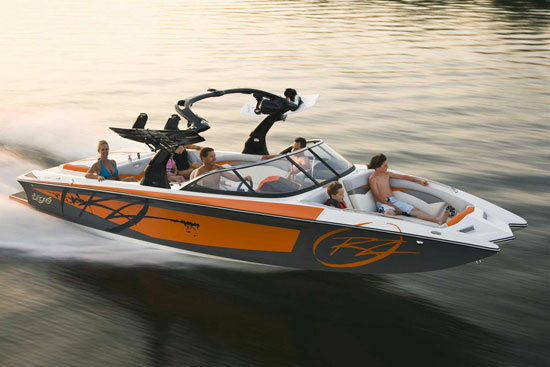 Tigé's RZ2 is sure to get your attention in 2009 with killer new graphics and a cutting edge tower, . The RZ2's new Alpha Z tower complements the graphics, but it also has features that make it easy to use. 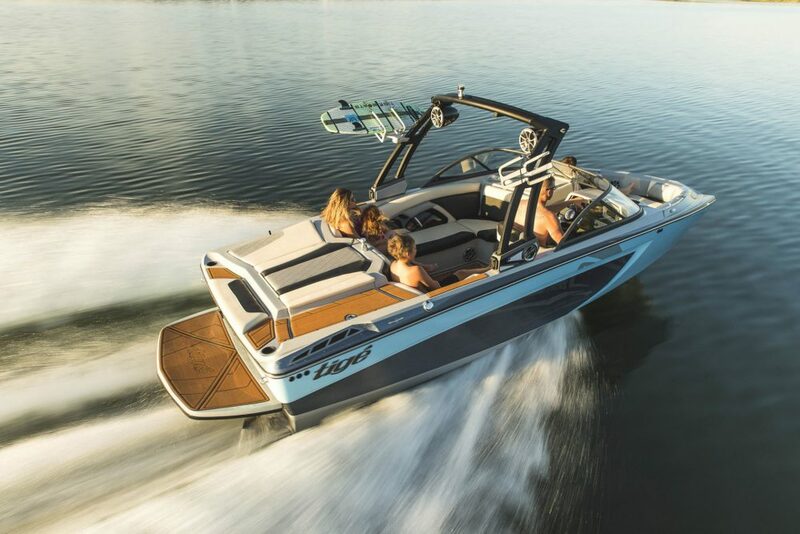 With its pickle-fork bow section and chiseled lines, Tigé's RZ2 already had styling to set it apart from other inboard V-drives on the market, but for 2009 Tigé has taken the model and bumped it up a few notches. Make that several notches. One look at the stellar new graphics packages and the composite tower are a great indicator that the company has taken a fresh new design and made it even better. 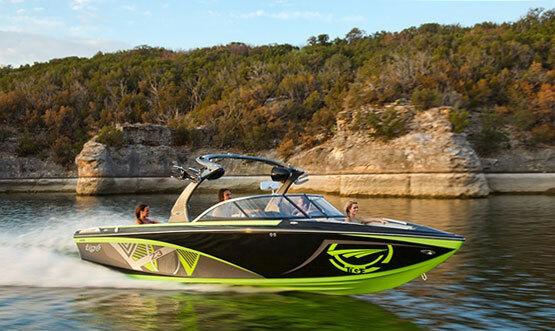 The new graphics include eye-popping colors and brash accents across the hullsides. The look is a welcome change from the "tribal flames" that swept through the inboard industry a couple of years ago, which looked more like prison tattoos than leading-edge graphic design. The RZ2's new Alpha Z tower complements the graphics, but it also has features that make it easy to use. 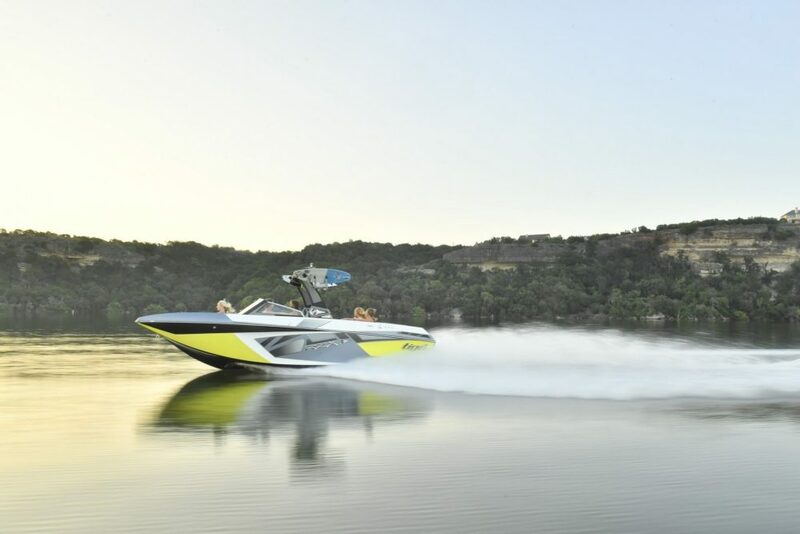 For example, it has counterweights inside that make it easier to raise and lower to windshield height, and docking lights for those wakeboard runs at dusk. You also have a choice of tower accessories, from custom speakers to board racks, all styled to look part of the package. Also new for 2009 is the black-frame windshield and a redesigned interior, which also are congruent with the new graphics and tower. The profile of the dashboard has been lowered for the new model year, but still comes fitted with three-and-a-half-inch nonglare color display. 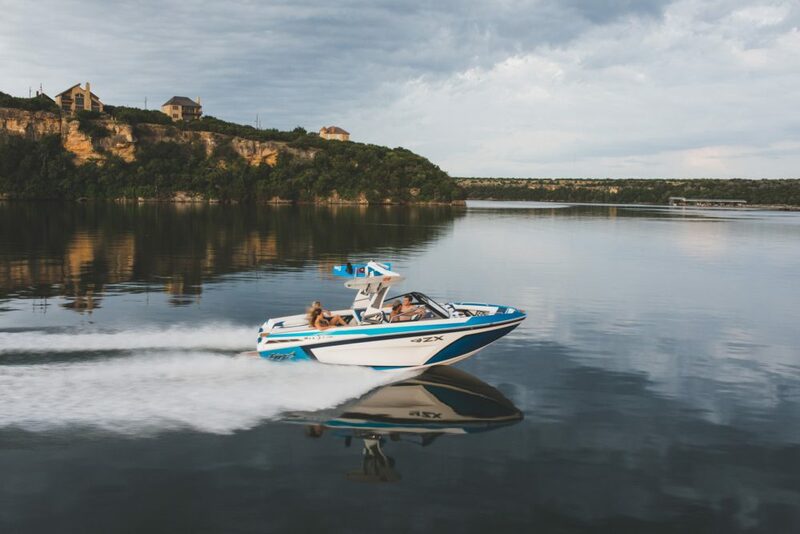 Fitted exclusively with engines from Pleasurecraft Marine-as are all Tigés for 2009-the RZ2 comes standard with a 343-horsepower 5.7-liter V-8. Measuring 22 feet long and 8 feet, 6 inches wide, the RZ2 weighs in at 4,150 pounds and carries 48 gallons of fuel. Factory literature says there is seating for 15-and the wide pickle-forked bow area does create more passenger room. 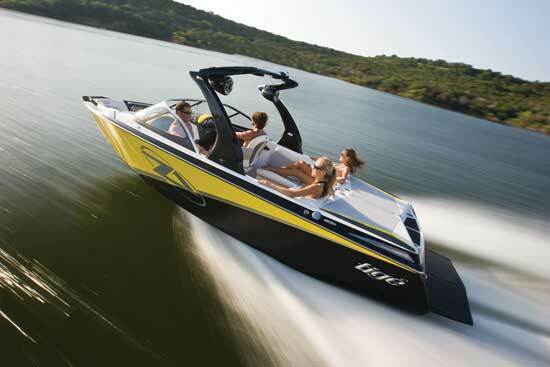 What's more, Tigé says the RZ2 delivers "outstanding no-ballast wakeboarding wakes and astoundingly clean slalom wakes. " That's something a test drive would verify. At a price of $68,310, which Tigé says is for a nicely equipped model with the new tower and a standard engine, but no trailer, the RZ2 officially qualifies as an expensive V-drive. Anymore, it seems that's the kind of coin it takes to get the newest, latest and greatest. For more information, call 325-676-7777 or visit Tigé.